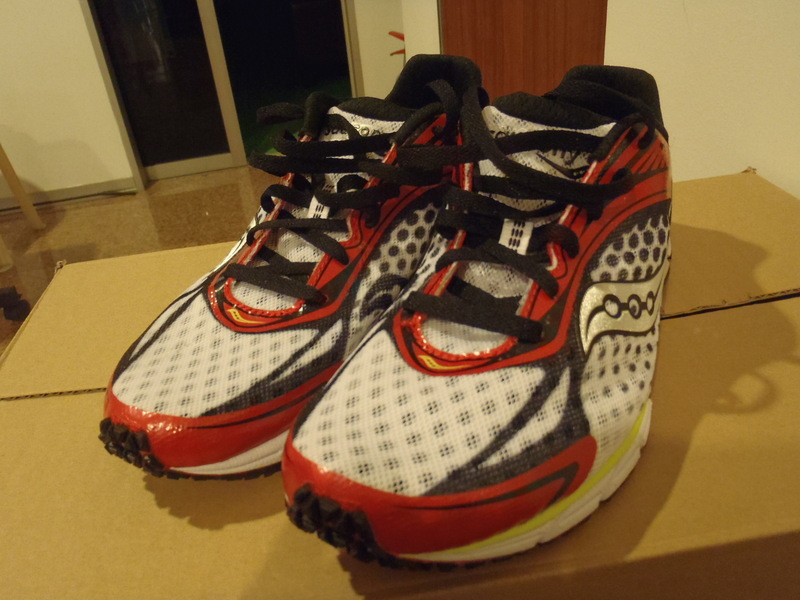 Available Soon: Mizuno Wave Ekiden 9! 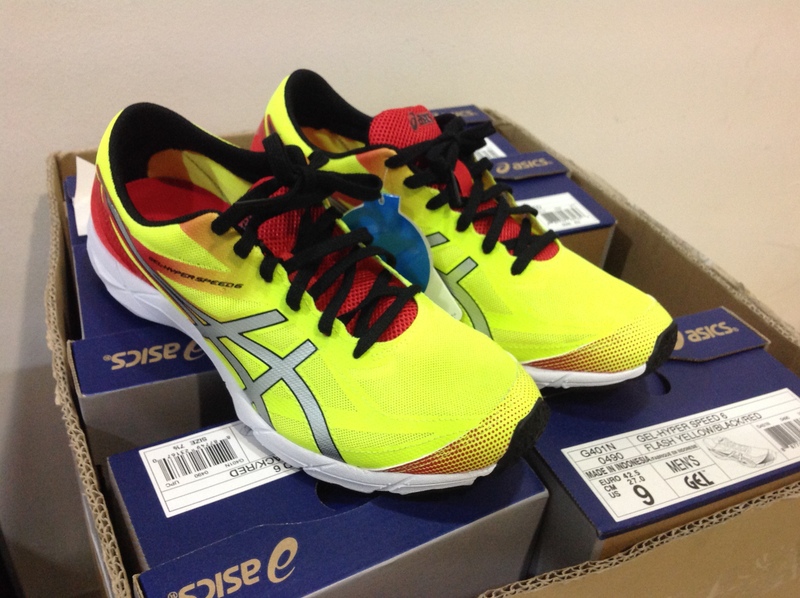 The Mizuno Wave Ekiden 9 is on it’s way to Singapore. This is a pure racing flat, ideal for super quick 5-10km. SRP is slated to be $219. We will be taking pre-orders. Just email info@wemakerunningcool.com with your contact information and shoe size. It already looks faster than your other shoes! 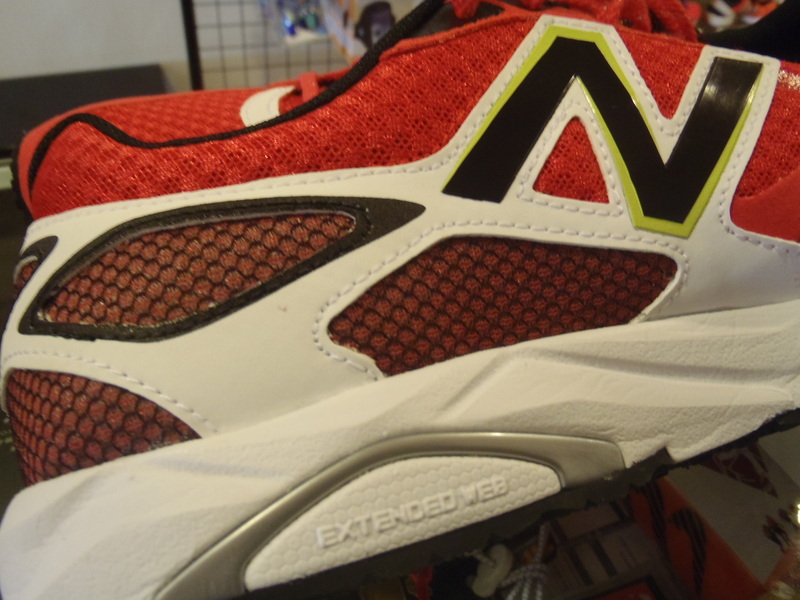 We might be nearing the end of the traditional racing season, but that’s no reason not to check out the latest racer that New Balance has to offer. 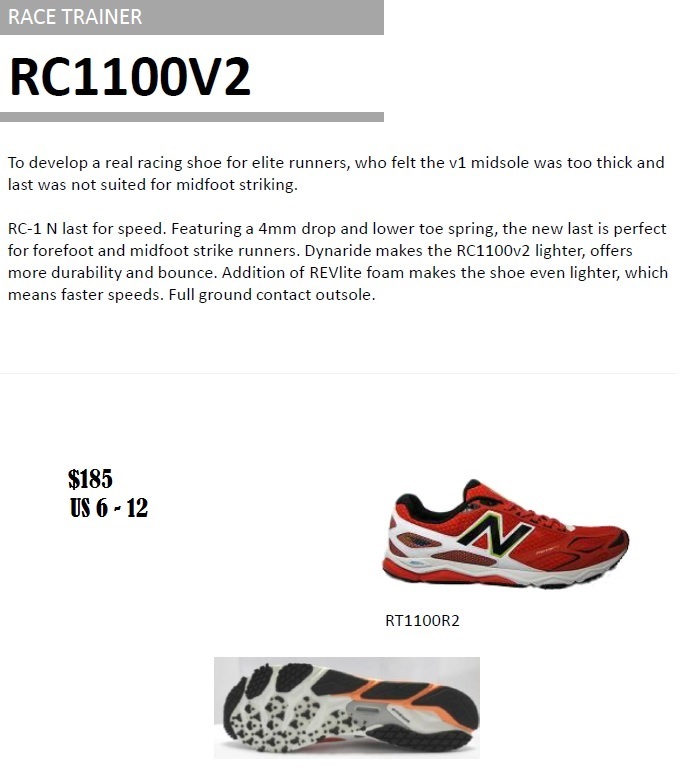 This isn’t a new shoe, it’s actually an update to the RC1600 that was launched a couple of seasons ago. This version isn’t wildly different, but then again, why change a good thing right? For you eagle-eyed runners out there, you would have noticed that the outsole has remained unchanged from the original. 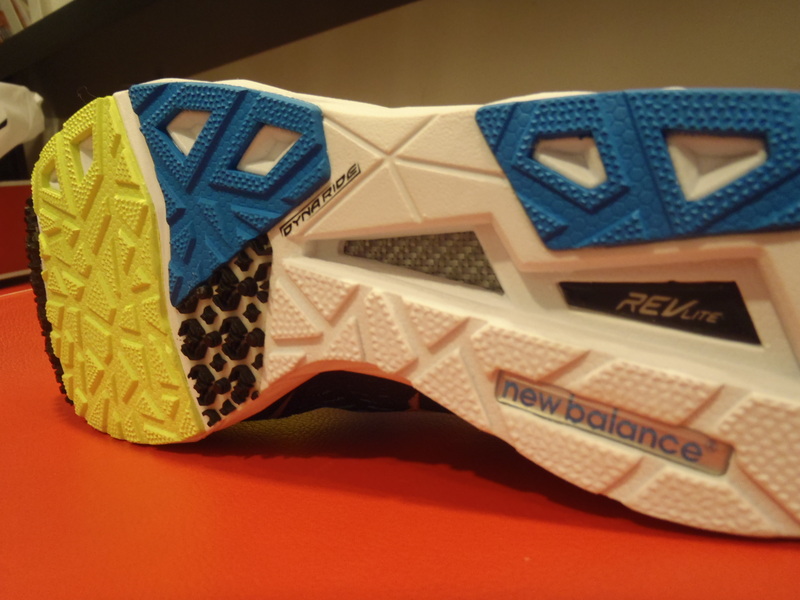 The high traction studs and carbon plate in the outsole are still there, as of course, is the Revlite cushioning compound. It feels like the heel drop remains at 6mm as well. The RC1600v2 claims to be a shoe that can take you from a 5k race up to the marathon. 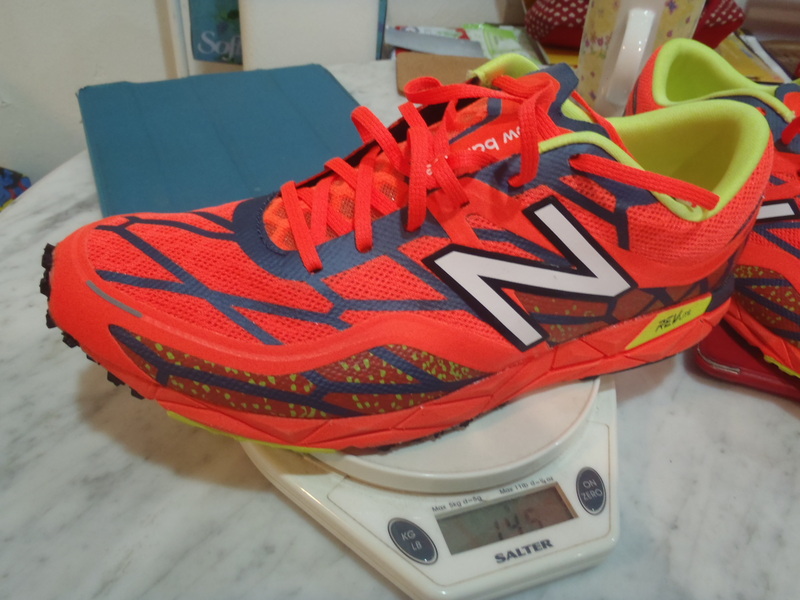 At 145g, this shoe is pretty feather-weight, but I have to say that that might not be an empty claim. Even after a couple of steps, you feel that this shoe packs more cushioning than it’s thin outsole would have you believe it has. The big updates to the RC1600v2 are in the upper. The upper remains light and breathable with it’s open mesh construction. The FantomFit upper has been redesigned, improving the level of comfort as well as the fit. The original RC1600 was already super comfortably, but the v2 goes a step further in locking your foot in without being overbearing. Inside the shoe, it is virtually seamless so sockless running is definitely an option. The RC1600v2 is New Balance’s premium racer and it proves itself well worth of that title. The use of premium materials in the upper through to the outsole combine to deliver a shoe that ticks all the boxes when it comes to weight, fit, performance and though some might disagree, looks. The RC1600v2 run true to size and have a spacious toe box that is often sacrificed in many of the other racers out there. 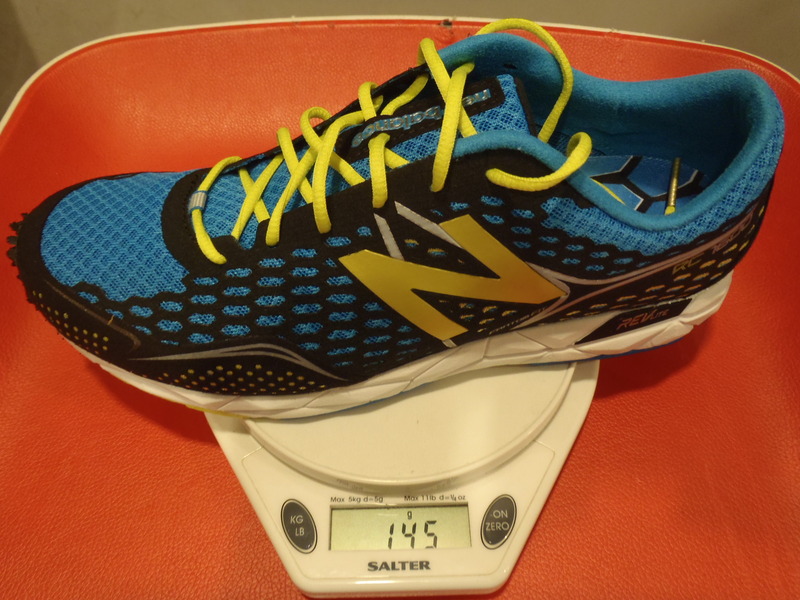 This is still a shoe that might be best suited for distances up to the half marathon for most, but biomechanically efficient runners will be able to take this through to the marathon with little issue. The women’s Ironman World Champion, Mirinda Carfrae, recently wore the RC1600v2 to a swift course-record breaking 2hr50min marathon in Kona. The RC1600v2 retails for $199 and is available in store now! This is just a fan favourite. Quick update to let you know that we’ve got a batch of adidas Adizero Adios 2. This is the shoe that perennially owns the marathon world record. Of course, there are some pretty fast guys doing the work…but that could be you too! You said you want to go FAST? The adios 2 is designed as a racer, but with it’s cushioning for the marathon, it is also equally adept as a lightweight trainer for daily use. With the extended Torsion web in the outsole, the adios 2 remains one of the stiffest neutral shoes available. The other benefit of the Torsion web is that the shoe is exceptionally responsive. Along with the high traction Continental rubber outsole, you won’t miss a step with these shoes. The adios 2 retails for $189. Finally! The Asics Hyper Speed was due a makeover and it has been worth the wait. The new Hyper Speed 6 brings this super popular shoe into modern times with a fancy seamless upper and heat bonded overlays. This iteration is drops over 30g in weight as compared to the Hyper Speed 5. Fit-wise, the Hyper Speed 6 has a roomy toe box. The vented Magic Sole and perforated sockliner help to improve moisture drainage and breathability. Triathletes rejoice! 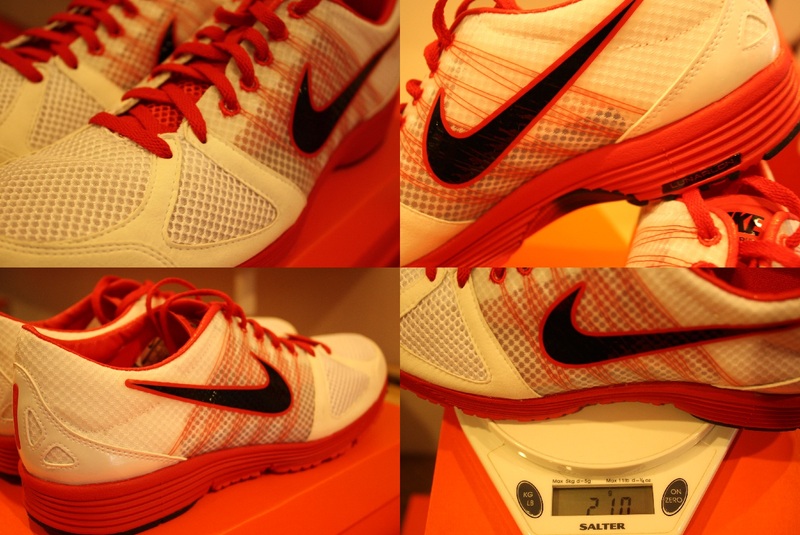 The Hyper Speed 6 is a 6mm heel to toe drop. This new version has shed a bit of cushioning so you may want to take it easy with the mileage before slamming the miles on. 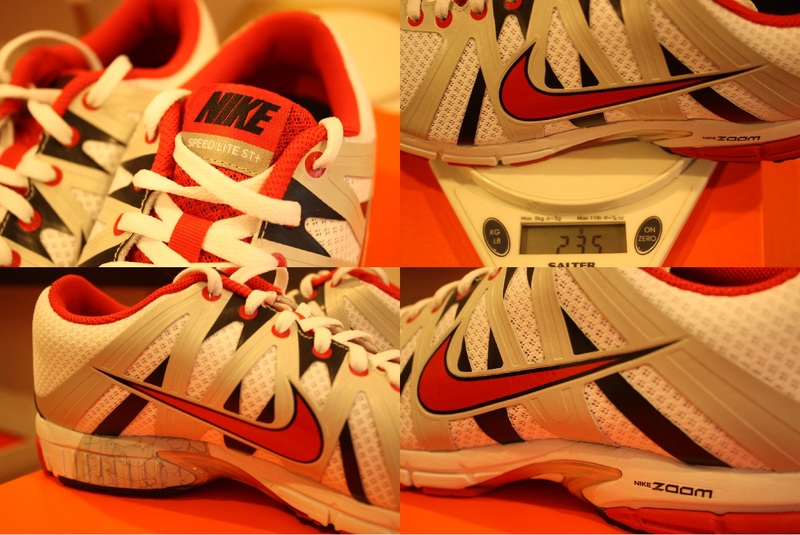 This shoe is light, comfortable and super responsive. Suitable for speed work and definitely for the demands of longer distance racing. The Hyper Speed 6 is available now and retails for $169. For many runners, the previous version of the RT1100 was a lightweight option that offered a good amount of cushioning with mild support features. The one gripe was that the heel unit often felt chunky and this prevented runners from turning to the RT1100 as a race day option. 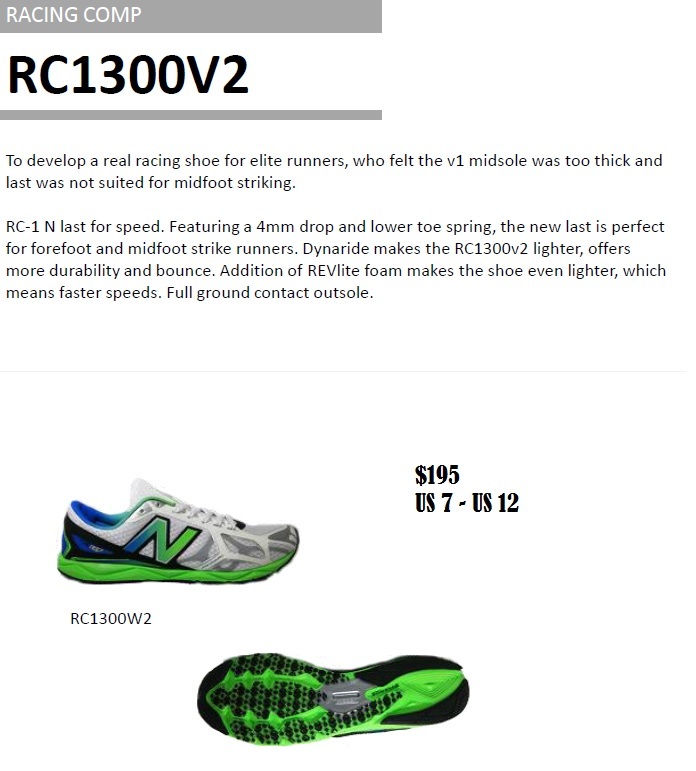 If you fell into this group, you will appreciate the improvements in the latest version of this shoe – the RC1100 V2. My first impression was that RC1100 looked way sleeker than the previous RT1100. The new RC-1N racing last and decision to reduce the heel-toe offset to 4mm give the RC1100 that close to ground feel. 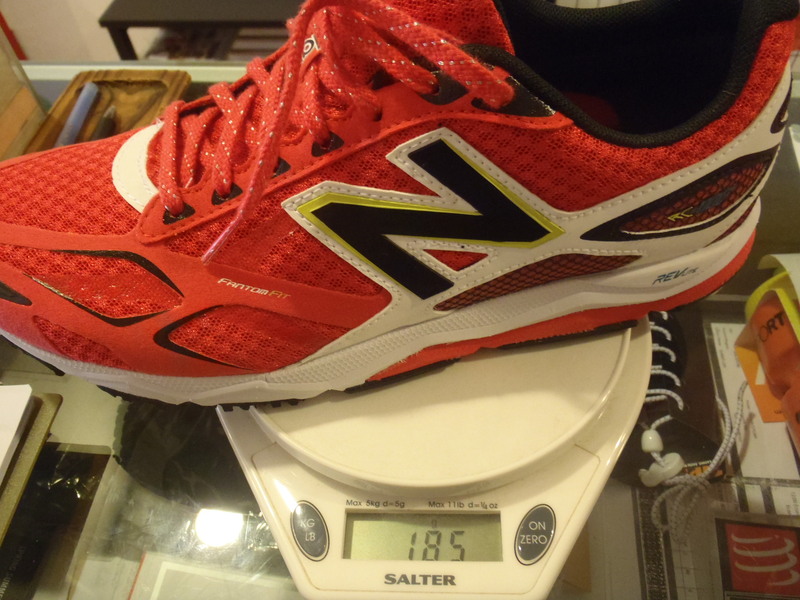 This isn’t something that has been readily available with many New Balance shoes in the past (aside from the RC5000 & RC1600) and it’s cool because the shoes feel fast even when you’re just standing around in them. Dynaride and ABZORB cushioning are standard. Those fancy, high traction studs on the bottom always nice to look at and are indeed grippy on a variety of surface. New to the RC1100 is the of the T-Beam shank (that silver bit) that helps to improve torsional rigidity and provide support. It is more substantial than the older Stability Web and you will notice something under your arch the first time you slip these shoes on but doesn’t feel like “too much”. 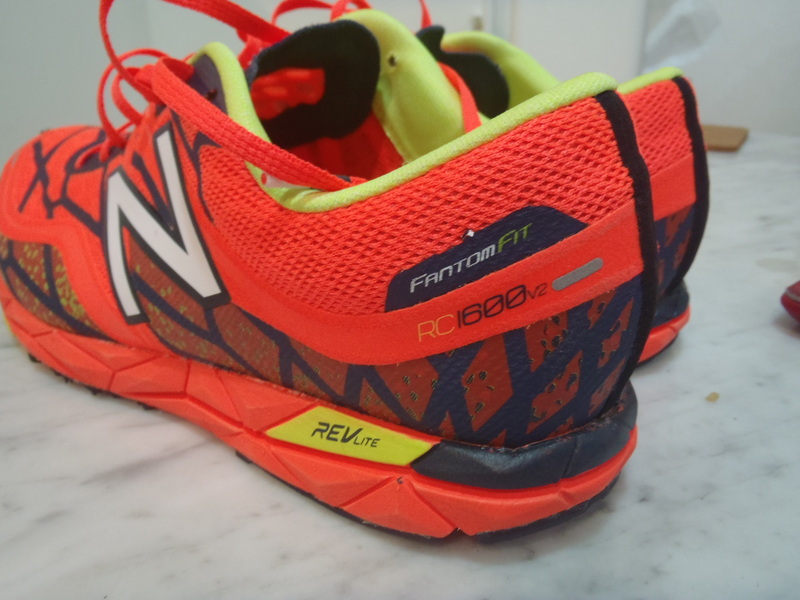 The RC1100 has all the good stuff – the REVlite compound reduces the weight without sacrificing cushioning and the FantomFit upper make this one of the most comfortable shoes I’ve tried from New Balance. 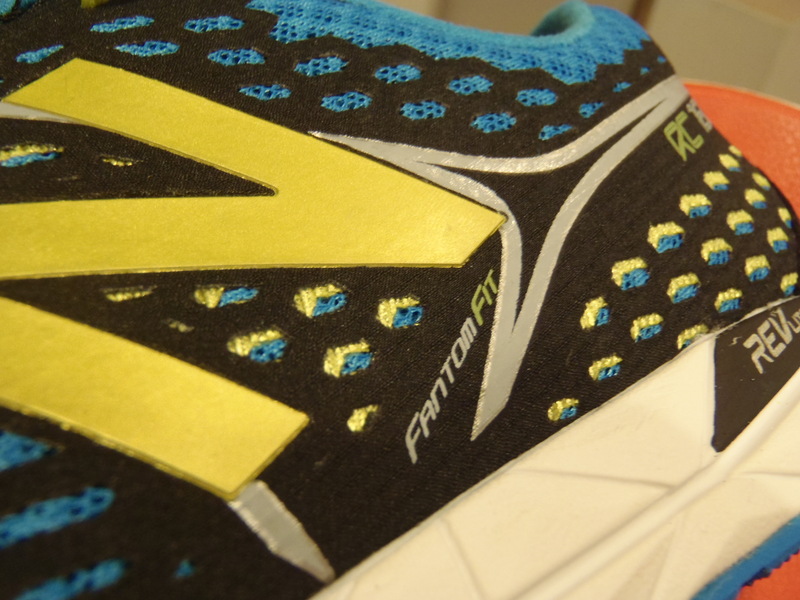 FantomFit is a no-sew technology that is lighter and stronger, it gives the shoe a closer fit with improved comfort. The RC1100 felt a bit narrow in midfoot area initially but felt better after a couple of minutes. The 2E width makes for a roomy toe box. I experienced some mild heel slip even when I laced up to the last eyelet, but the FantomFit upper locked down the midfoot and I didn’t notice any excessive movement otherwise. These shoes seem to run a little big, so I would consider sizing down by half a size when you get your’s. 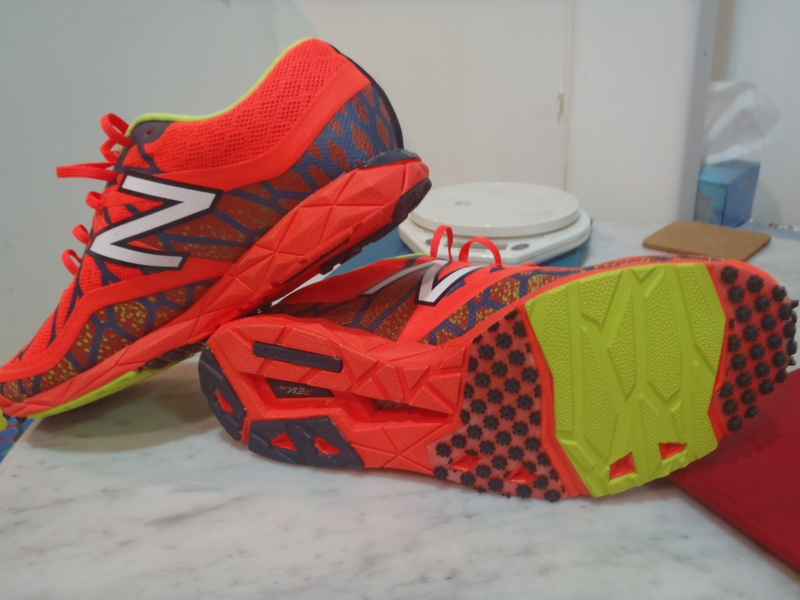 I’ve not run extensively in the New Balance shoes that use the newer REVlite compound so I admit that I didn’t love these shoes straight away. The RC1100 is not stiff (like the adidas adios 2) but it is firmer underfoot than shoes like the Asics Hyperspeed 5 or Nike Lunarspider LT+ 3. It has a responsiveness and feel that grows on you and is very stable whenever you plant your foot. This is unlikely to be your weekly long run shoe but for workouts at the track to your extended tempo runs, it will work a treat. On race days, this shoe will easily take you from your 10km up to the marathon. The RC1100 V2 is a unisex shoe. It is available in sizes US6 – 12 and retails at $185. For runners looking for a shoe with a little less cushioning for those really fast days, just look at it’s older brother, the new RC1300 V2. New Releases from New Balance! 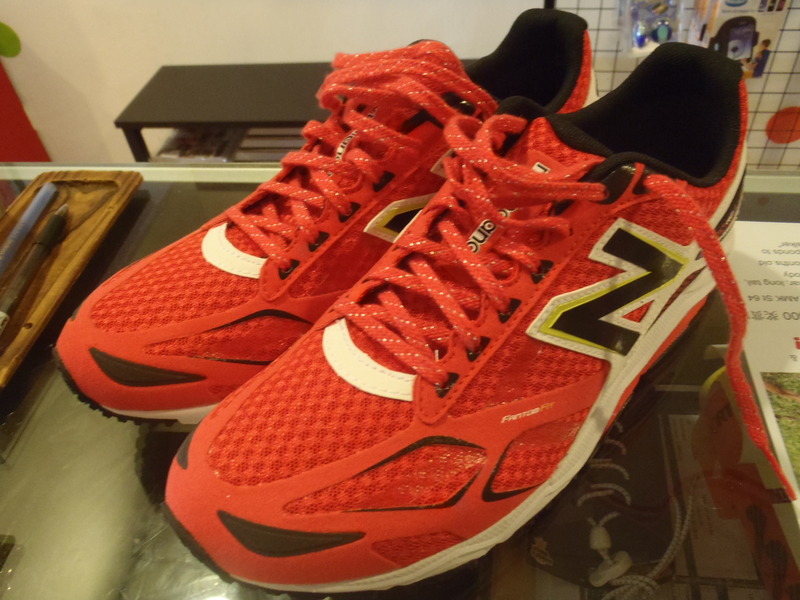 New Balance has been making huge strides (get it…that’s some running humour for you) in the last few seasons. They’ve always had good shoes, but now they have the looks to put them high up on everyone’s list. This season, New Balance has updated 3 fan favourite shoes that will surely make the New Balance faithful happy. The Japan-inspired RC1300 and RC1100 have been completely reworked. Upgrades include a 4mm heel to toe offset, FantomFit upper and big weight saving. 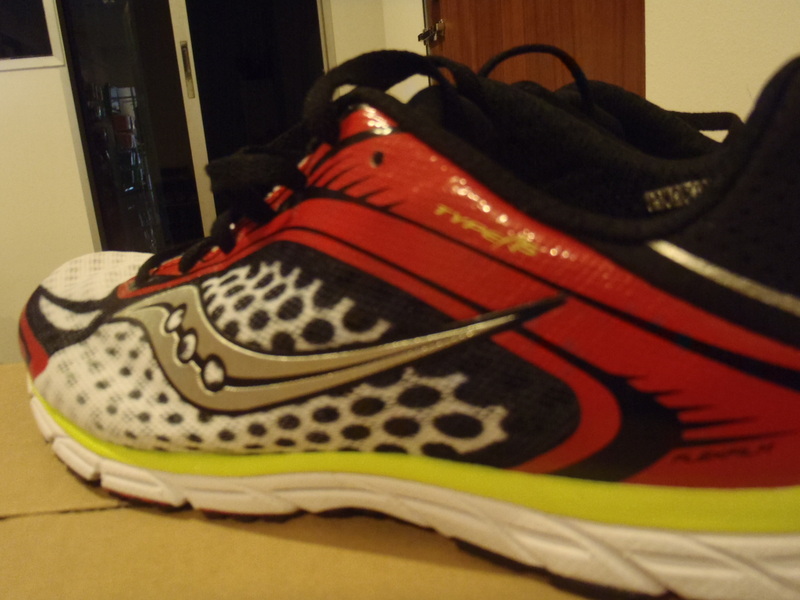 The shoes have a much lower profile and feel as fast as they look. The other shoe that gets a brand new look is the 1400. This was a real underrated performer last season. 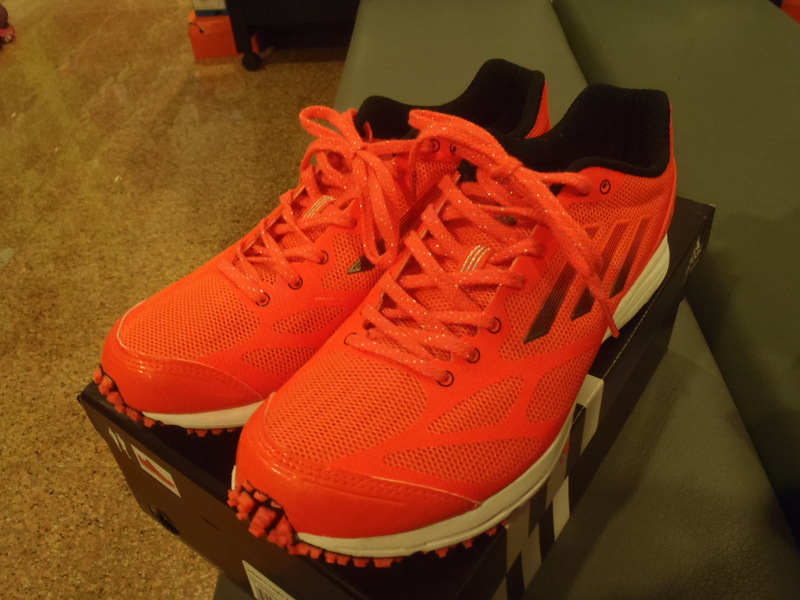 The 1400 appealed to a huge range of runners looking for a super lightweight shoe that seemed to do it all. Racing or training, this shoe did it all. This season, the 1400 has a reworked upper and they’ve ditched even more weight off the original. The 1400 still retains the 9mm heel to toe offset. All 3 models are now available at The Runner’s Gait. Alistair Brownlee wore the adidas adizero Hagio 2 on his way to winning the Olympic Triathlon gold last year in London. He ran 29min07sec for the 10km (after swimming 1.5km and riding 40km). While I’m sure most of that was due to A.Brownlee being ridiculously quick, the Hagio 2 has got to be a fast pair of shoes to keep up with him. The Hagio was brought in as a replacement for the adizero Pro 4 and the Hagio 2 continues where it left off. 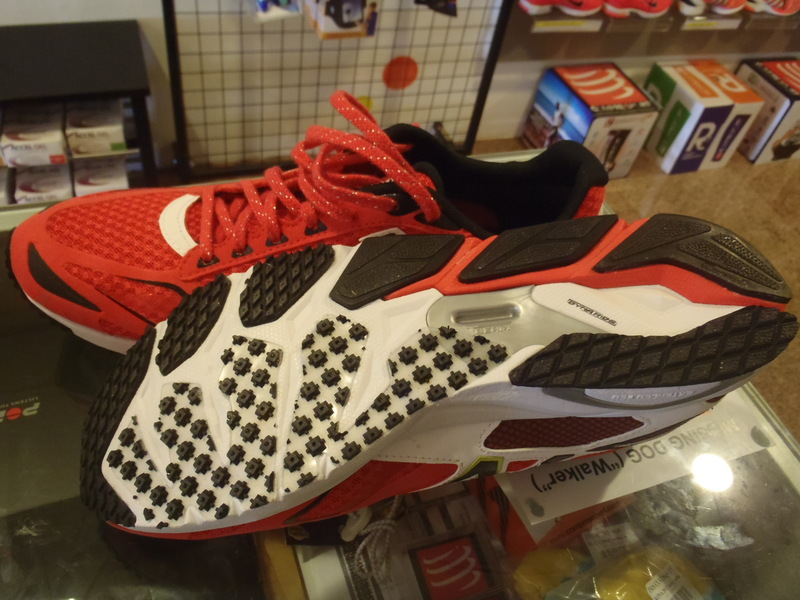 Using the same midsole as the Pro 4, the full forefoot adiprene+ gives the Hagio 2 great response and cushioning. The Hagio 2 has a Sprint Web upper that is seamless and extremely comfortable. This is the same upper that is found on on the adidas spikes. The Coolever mesh upper is very breathable and this is is quite possibly even more comfortable when worn without socks. I have very delicate feet and usually blister at the smallest thing, but I experienced no hint of irritation at all so far. I did feel a bit of heel slippage when I tried these on the treadmill. The heel cup is cut fairly low so runners that are used to more built up shoes might find this freedom around the ankle to be a bit unsettling initially. However, after a quick re-lacing of the Hagio 2 to make use of the last eyelet, everything seems A-okay. The Hagio 2 also has a 6mm heel drop. A improvement that many runners will appreciate will be the full forefoot Quickstrike that not only increases the shoe’s flexibility and feel, it is also supposed to significantly improve it’s durability. The Hagio 2 offers very good traction over all surfaces and the ever-present Torsion system ensures that as little energy is wasted after toe off. Overall, I think the Hagio 2 is a nice option if you’re looking for a racing flat with a nice amount of cushioning. This is unlikely to be your go-to shoe for every day training, but you’ll be pleasantly surprised by how much cushioning you feel when you’re running in the Hagio 2 so a tempo run in them is definitely on the cards. It is not as harsh some other racing flats are, but they are responsive and will do great for anything from your 2.4km IPPT to a half marathon. There will be some of you that will fancy this for the full marathon as well. With a couple of local races coming up, triathletes looking for a sockless option for race days will also want to remember the Hagio 2. 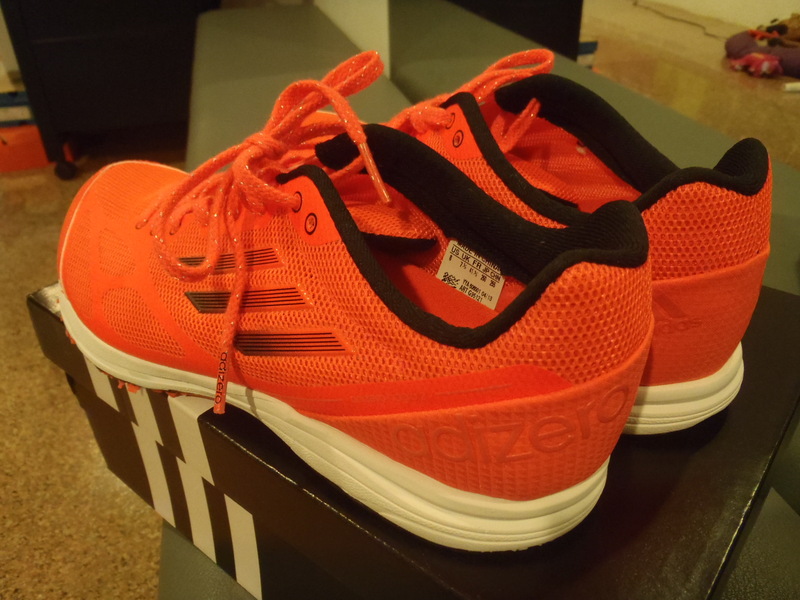 The adidas adizero Hagio 2 retails for $169 and is available now at The Runner’s Gait. So with the Olympics done and dusted, I’m sure everyone has been inspired to go out and run faster than they ever have. New Balance is doing their part to help out with their new range of racers. The RC1600 is part of their Fall selection that includes the ultra-light RC5000 that weighs an obscene 90g. The RC1600 is a much more practical shoe and is being pitched as a shoe with enough cushioning for you can to do your marathon (PB) in without any worries. 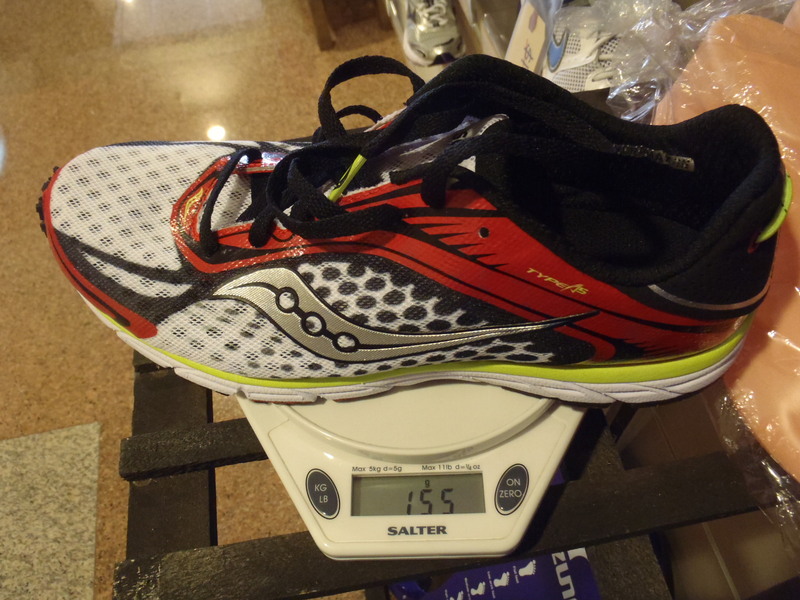 Weighing just 145g for a US8, that makes the RC1600 even lighter than the Saucony Grid Type A5 racer and the Nike Lunarspider R2. Make no mistake, the RC1600 is a shoe built for competition, no ‘ifs’ or ‘buts’ about it. 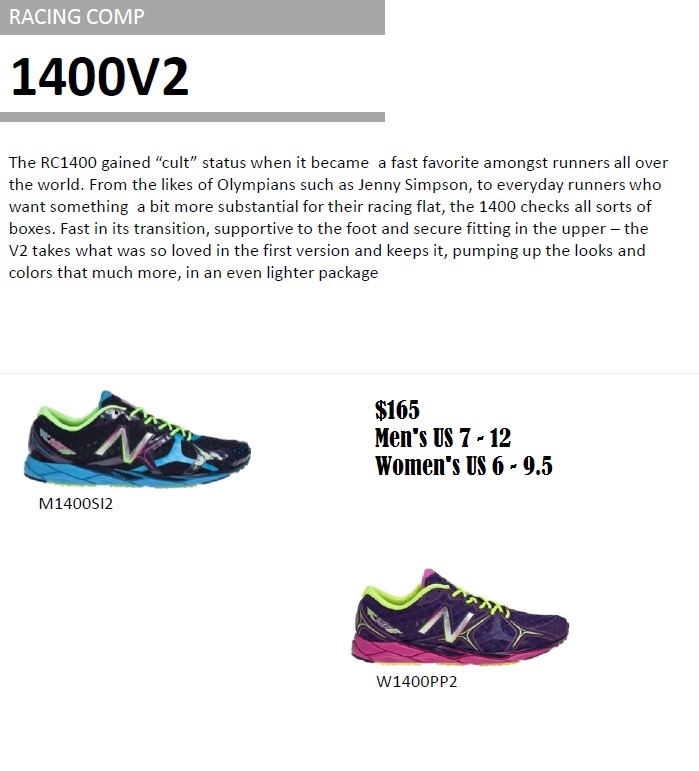 Using the New Balance NBJ racing last, the RC1600 is a standard D width with a reduced volume toe box. 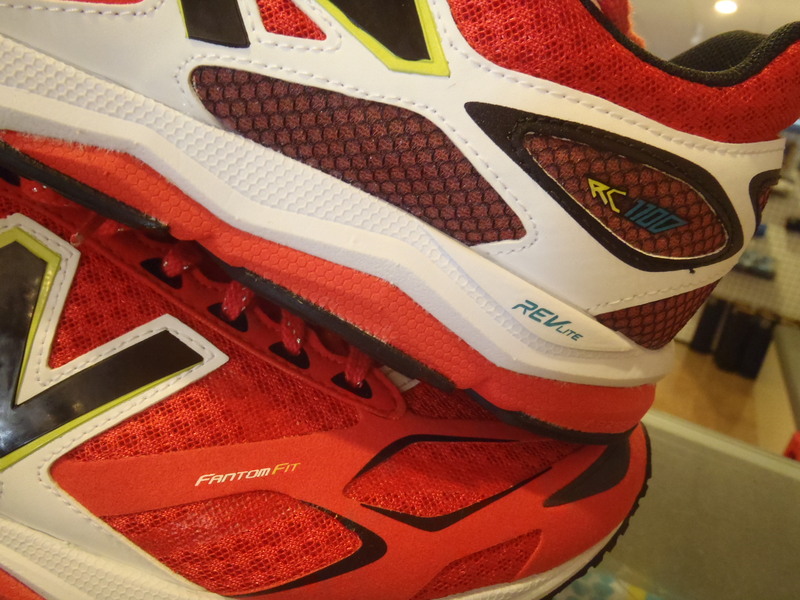 One of the new technologies featured in the RC1600 is New Balance’s FantomFit. 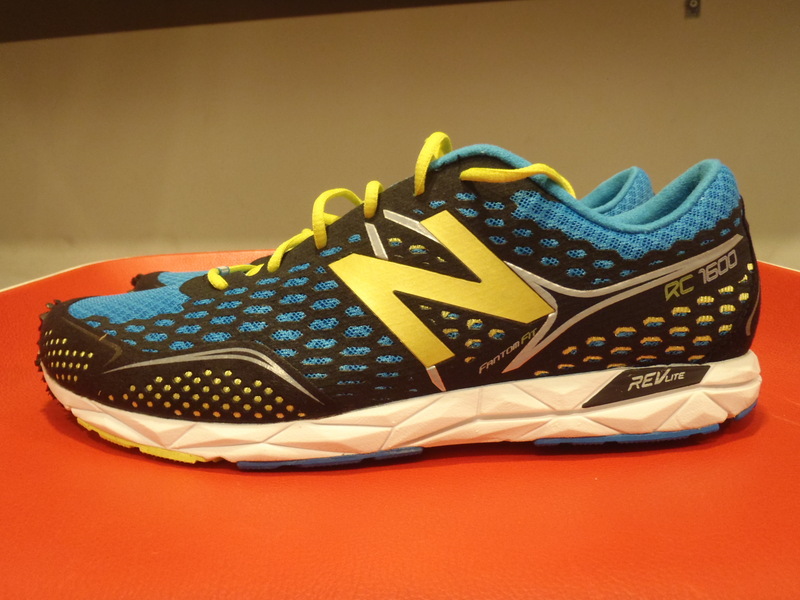 The upper for the RC1600 is a light, breathable mesh that is extremely comfortable. The FantomFit process fuses two mesh layers into a very light yet supportive upper, getting rid of those pesky seams that often lead to blisters. 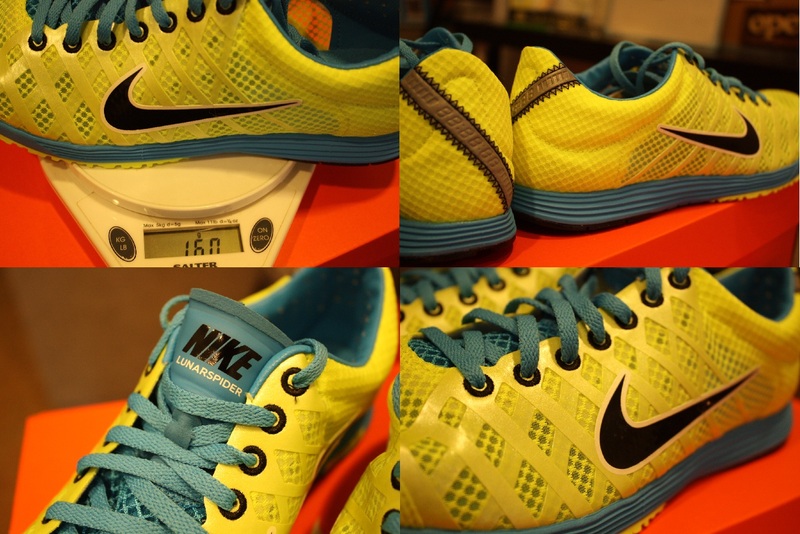 The heel counter is fairly snug and covered in a felt-like layer, similar to the RC1400. Add that all together and potentially, you get a shoe that you could run in sockless. I didn’t feel any discomfort when I ran a couple of steps in them on the treadmill, but will personally opt to wear socks with these shoes simply because I have delicate feet. According to Running Warehouse, the RC1600 has a profile identical to the Nike Lunarspider R2 – 6mm of heel drop and even the forefoot/heel heights are the same. 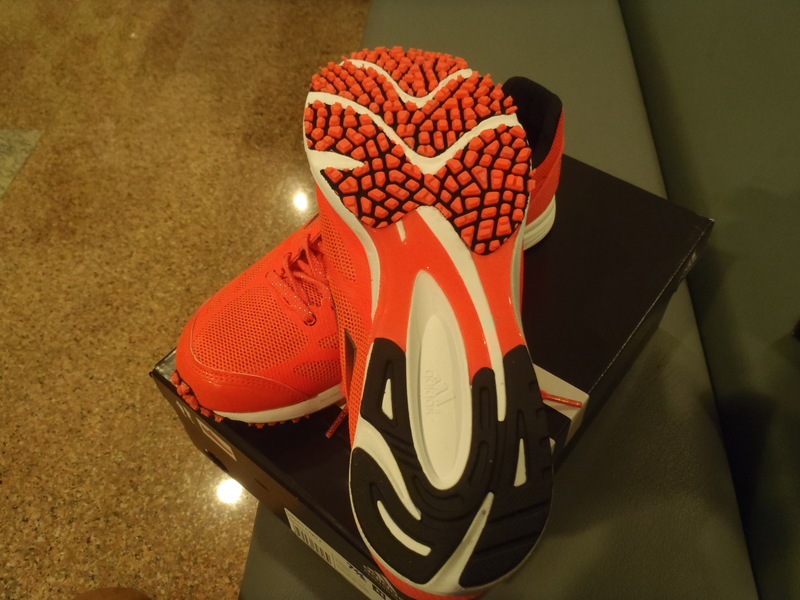 However, the Lunarlon cushioning of the Lunarspider and the full length Revlite RC midsole of the RC1600 make these two shoes feel completely different. 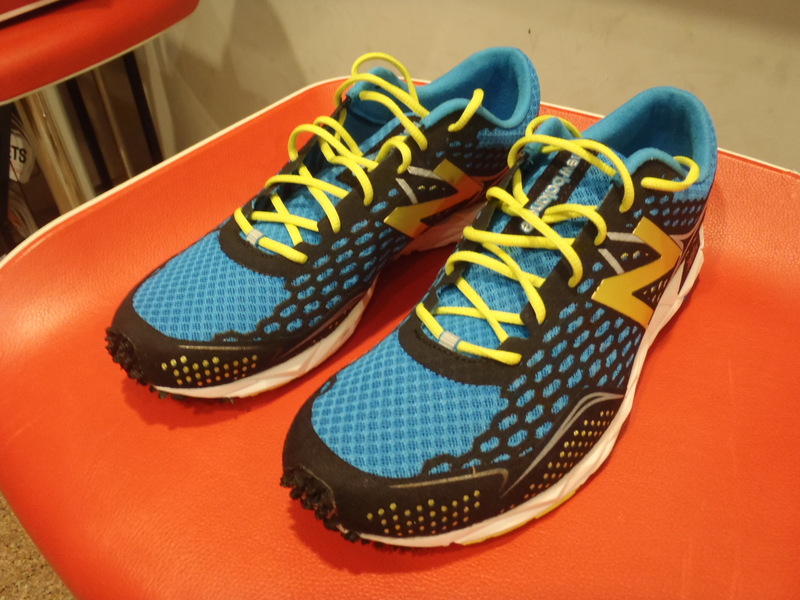 Revlite RC is a higher density version of New Balance’s Revlite cushioning compound (which reduces weight but not level of cushioning) and felt a little stiff initially underfoot. Another feature of the midsole is the shank that provides torsional rigidity, similar to the Torsion system in the adidas adizero range. The Dynaride outsole is a feature found on New Balance’s racing range and gives the RC1600 extremely good traction at a weight saving. 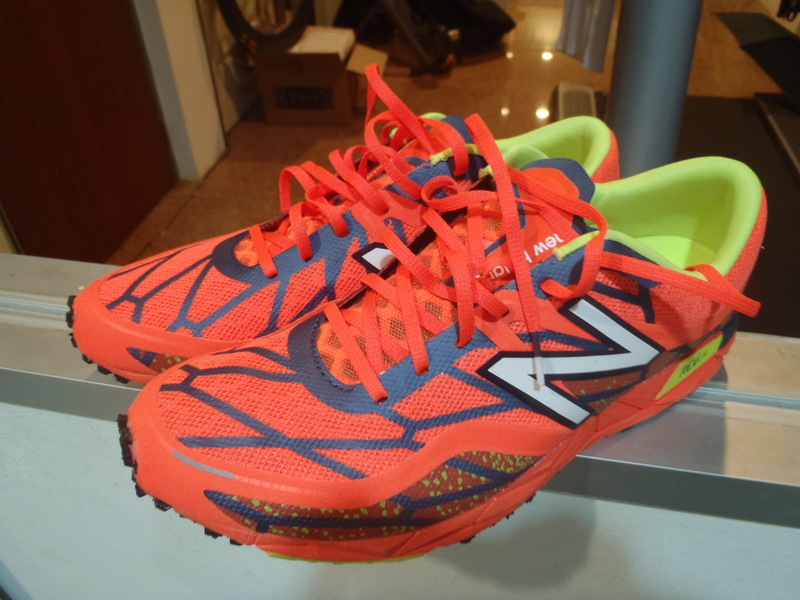 Overall, this looks like the most advanced racer that New Balance has released so far. It is packed full of technology, comfortable, not overly minimalist and hey, doesn’t hurt that it looks good too. The RC1600 will be a good option for any time that you want to go fast. The shoe definitely doesn’t scream “cushioning” but well trained, efficient runners will have no issues using this for a full marathon. While the RC1600’s Revlite RC cushioning might feel slightly stiffer than some other racers, you won’t feel over exposed to impact forces once you get going. The RC1600 retails for $195 and is available now in men’s and women’s models at The Runner’s Gait. The women’s model is pictured below. The women’s RC1600 comes in a B width. I’ve had the opportunity to try out a pair of the Saucony Grid Type A5 for the last 4-5 weeks and here’s the rundown (hurhur, get it? Run-down…?). Ok, bad wordplay aside, here’s the review! We had the Grid Type A4 in our store last season and it was a big hit. 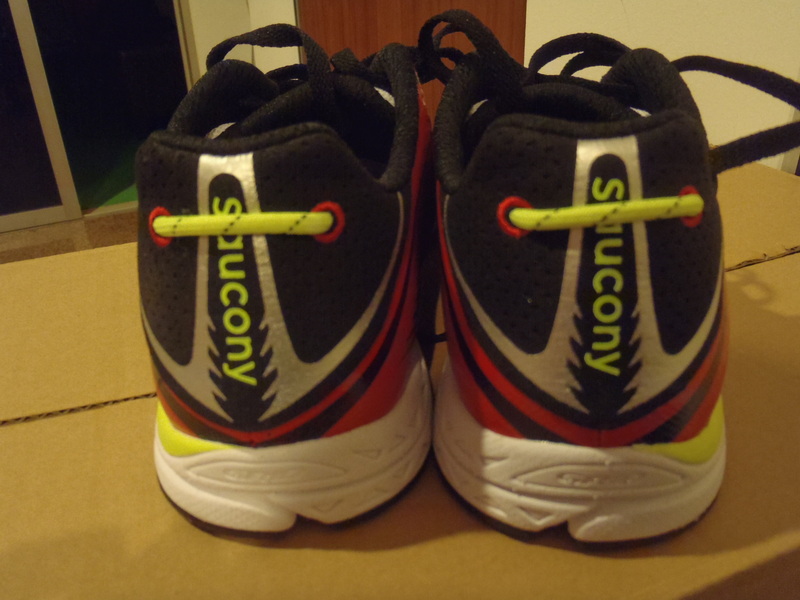 Lightweight and responsive, Saucony had a very understated but very good racing flat on its hands. This season, the Grid Type A5 retains the outsole and midsole design from the A4, but with an upper that utilizes its new Flexfilm technology, has managed to cut even more weight off. I usually wear a men’s US8 for all my running shoes, but I went up half a size for the A5. 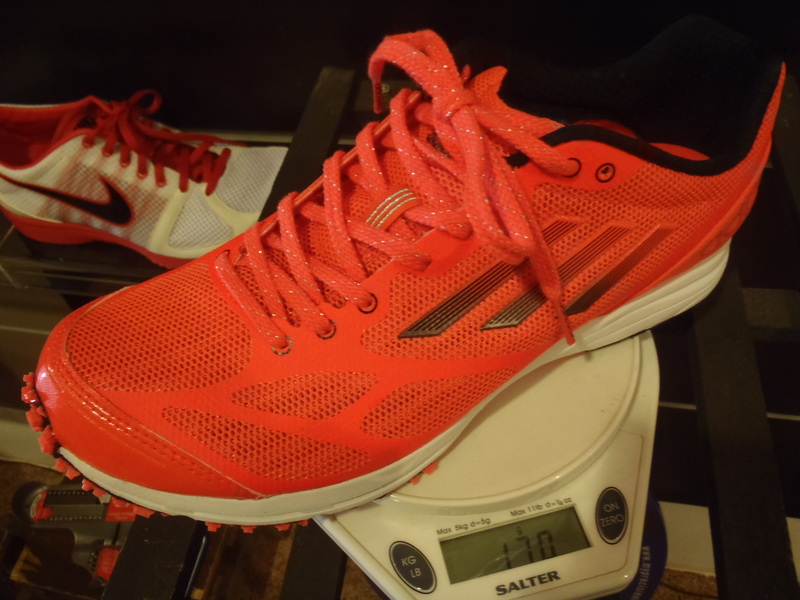 At 155g, the A5 is the same weight as my current racing flat, the Lunarspider R. But that’s sort of where the similarities end. In terms of fit, the A5 isn’t as snug as some other racing flats I’ve tried on. Having said that, that isn’t to say that my foot was sliding all over the place in them. On the contrary, the breathable mesh upper with new FlexFilm bonded overlays was extremely comfortable and held my foot in place firmly. 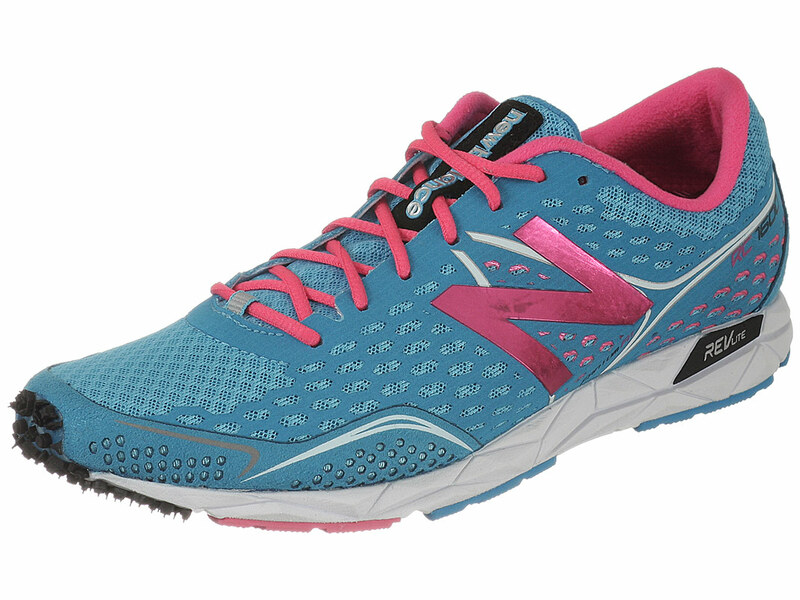 The absence of stitching in the upper makes this shoe very triathlete-friendly. No socks? No problem! The finger loops at the heel ensure ease of entry, especially for those athletes looking to get these shoes on in a hurry. Another thoughtful design feature carried over from the A4 is the drainage holes in the sole of the shoe. If you perspire like a waterfall, these prevent your shoes from resembling a fish tank by the end of your race and reduces the incidence of forehead slapping when you accidentally throw water on your shoes as you race through the aid stations. The tongue also has elastic straps on each side to keep it firmly in the centre, no matter how much running you do. Even carries a nice message for your competitors! When you pull these shoes on, you just want to run fast. 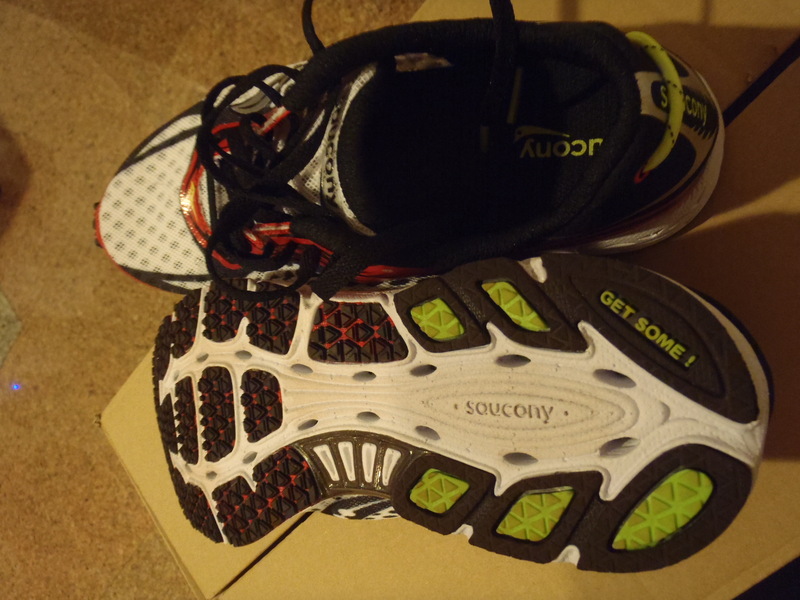 The A5 has a 4mm heel-to-toe drop, which is now standard for Saucony’s performance range. Add that to the close-go-ground feel of this low profile racing flat and what you get is a responsive, lightweight shoe ready to take you to the races! If you are using a shoe with a larger heel drop, you may feel some tightness in your calves initially as your body adapts to the A5. Another thing to note is that while the upper of the A5 does lock the foot in place well, it’s minimal design does mean that your foot will not receive as much support, so be prepared! Once that is out of the way, the A5 is a real joy to run in. It isn’t going to be your first choice for long runs, but Saucony’s Grid cushioning does provide a very comfortable ride for such a lightweight pair of shoes. Runners will be surprised by the comfort of the A5. The toe box is somewhat roomier than other shoes in its class. However, none of this takes away from the performance of the shoe. The Grid Type A5 is a great option for speed work and racing. It is built for speed, but doesn’t do this at the expense of comfort for the athlete. This shoe will be especially popular with the triathletes thanks to its transition-minded features and seamless upper. Don’t be intimidated by the A5’s categorisation as a “racer”, runners should definitely give this shoe a a try. Thanks again to Ruth from Royal Sporting House for arranging for this shoe trial, I’ve really enjoyed using them. 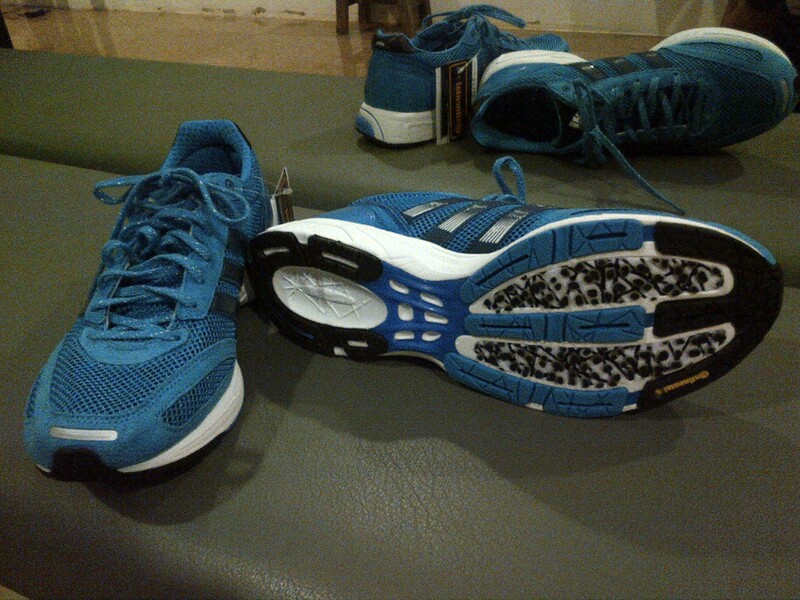 The Grid Type A5 will be available at The Runner’s Gait in the 3rd quarter of this year in a new colour way. We can’t wait! 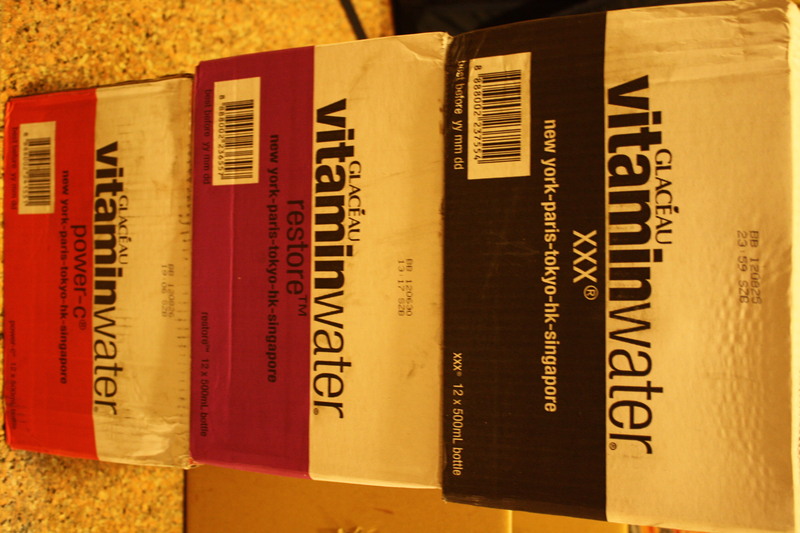 We’ve been very busy this week getting some new stock into the store, we’ve even got new stock of Vitamin Water! But on to business! The last of Nike’s Spring 2012 lightweight trainers and racers have dropped. Here’s a look! guaranteed to get you to the pub the fastest! slightly more tame colourway than the previous pink ones, but just as quick! All available right now at The Runner’s Gait!